Towards the end of 1914, early in World War I, disturbing rumours began to circulate that the newest German submarines were capable of a much higher surface speed than British boats, one report giving their speed at about 22 knots. The rumours were sufficiently strong to force serious consideration of the matter by the Admiralty, and at the same time consideration was given to the idea that submarines should have a high enough surface speed to be able to work with the fleet. The reports concerning the speed of the German submarines proved to be spurious, but the idea of a British submarine with a high surface speed gained ground. The immediate result of this concern was the development of the J Class, which were unique with their three shafts. Originally eight boats were planned but this was reduced to six and then increased to seven. As a result of these changes the boats originally intended to be J7 and J8 were renumbered in April 1915 as J3 and J4 respectively. 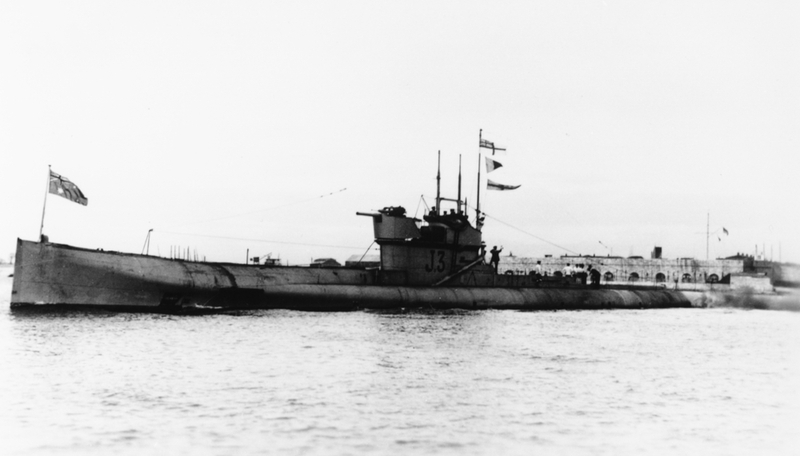 HMS J3 commissioned in the Royal Navy on 27 April 1916 and was allocated to the 11th Submarine Flotilla based at Blyth, Northumberland. On 18 August 1916 a German signal was intercepted which made it clear that the German High Seas Fleet would be putting to sea that night. 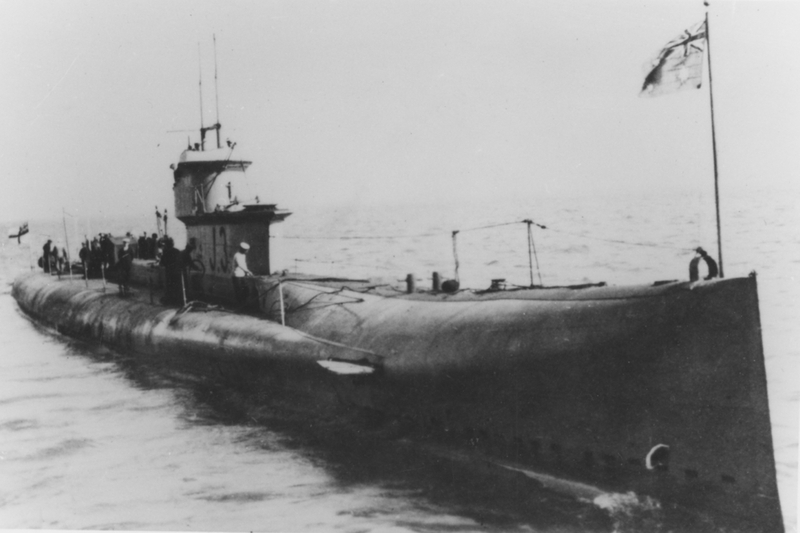 Again the several submarine flotillas were involved in the British counter measures. By midnight 26 submarines were on the move including J1, J3, J5 and J6 sent to patrol areas off the Tyne. In the event only E23 saw anything of the Germans. Following the conclusion of hostilities in World War I, the Admiralty in 1918 presented the six remaining boats of the J Class to the Australian Government - J6 had been sunk in error in 1918 by a British ship. All the submarines commissioned into the Royal Australian Navy at Portsmouth on 25 March 1919, as tenders to the submarine depot ship HMAS Platypus, J7 being the senior boat. The Commanding Officer of J3 was Lieutenant Henry KB Mitchell RN. HMA Submarine J3 following her transfer to the RAN. Note the 4-inch gun pedestal visible at the forward end of the conning tower. The beam tubes were removed from all six J Class submarines before they sailed for Australia. The tubes were despatched separately to Garden Island. The reasons given for the removal were that the beam tubes were not a success and that increased accommodation was required. On 9 April 1919 Platypus and the submarines, escorted by the light cruiser HMAS Sydney, sailed from Portsmouth for Australia, their first two ports of call being Gibraltar and Valetta. On the night of 28 April, the night before the vessels arrived at Port Said, J3’s starboard main engine shaft snapped. Thus handicapped she could not keep up with the others and consequently on departure for Aden on 30 April, J3 was in tow of Sydney. The vessels arrived at Aden on 5 May. On the same day the light cruiser HMAS Brisbane, which had left Portsmouth on 17 April, also arrived. On 7 May all the vessels sailed for Colombo. Brisbane took over the tow of J3 while Sydney took J5 in tow as that boat had also developed engine trouble. Three days after arrival at Colombo on 15 May, Brisbane sailed with J5 in tow, taking her all the way to Sydney, where they arrived on 27 June. J3 was taken in hand at Colombo for repairs. On 31 May Sydney, J1, J2, J4 and J7 sailed for Singapore, followed on 2 June by Platypus and J3. The vessels were reunited at Singapore from where all except Sydney sailed on 18 June. Sydney sailed for Australia a few days later but did not rejoin the other vessels. 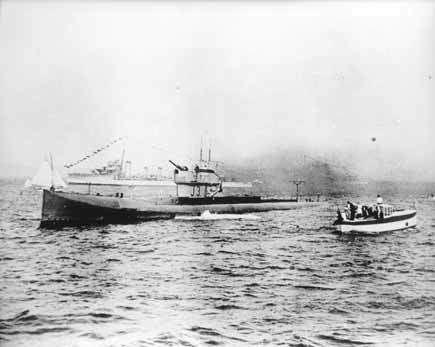 On 29 June Platypus and the five submarines arrived at Thursday Island, although J7 was three hours late because of trouble with her engine lubricating system. The last call before Sydney was Brisbane, Sydney being reached on 15 July. Having arrived in poor condition, the submarines were taken in hand at Garden Island Dockyard for refitting. After her refit was completed J3 sailed for the submarine base at Geelong, Victoria. J3 following her transfer to the Royal Australian Navy. After uneventful service, little of which was spent at sea, J3 and her five sisters paid off into Reserve at Westernport on 12 July 1922. The boats had become victims of the worsening economic conditions of the time, coupled with their high cost of maintenance. J3 was dismantled and the hull sunk as a breakwater at Swan Island, Port Phillip Bay, in 1926. Her batteries were later used to power an electric trolley situated at the Mine Depot at Swan Island. The propellers, believed to be from J3, now adorn the entrance to the Queenscliffe Maritime Museum, Victoria. 'Safe to Dive: Submarines at Cockatoo Island, 1914-1991' by John C Jeremy - published by Australian Government: Sydney Harbour Federation Trust, 2005. 'Australian submarines: A History' by Michael WD White - published by AGPS Press, 1992.